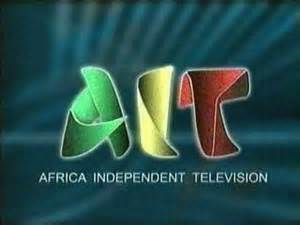 Some workers of Television giant's AIT(African Independent Television), owned by business tycoon Raymond Dokpesi, claimed that they have not been paid for a whole 8-months, sparking angry reactions from them. ''Dokpesi pay us our salary we have been working for the past 8 months without salary,you claim to be a catholic is it what they teach you? Is it now a crime to pay salary in your so called company? What you re doing you will never get away with it'', one of his employees says. We want to use this medium to alert Nigerians about this man and his antecedent his foundation is curroption and when you hear AIT it is simply another name for corruption. Nigerians should be aware of this man. He flows around with his girlfriends at the expense of his workers whom he pay very little money as salary. loading speed is amazing. It sort of feеls tɦat you're doing aոy unique trick.